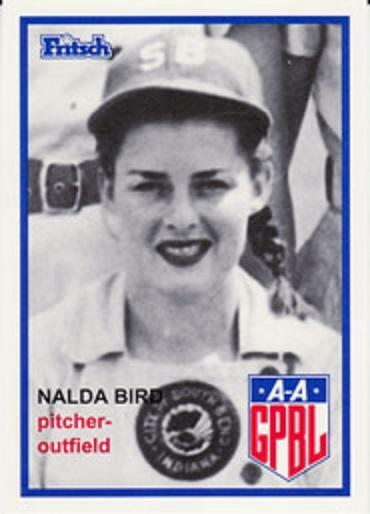 Nalda pitched underhand and achieved the rare feat of pitching complete game shutouts in both games of a doubleheader. She is listed in the BASEBALL RECORD BOOKS as one of three American Professional pitchers to hurl TWO shutouts in a doubleheader. In 1947 she pitched in the National Girls Baseball League in Chicago because the AAGPBL instituted side-arm pitching that year and overhand pitching in 1948. She's not the one to use or need an alibi.